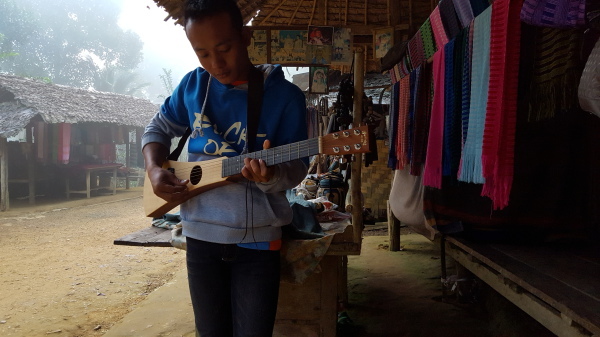 Traveling into Burma (Myanmar) last fall and witnesssing first hand the struggles and challenges of life inside the jungles of Burma and inside refugee camps, has led to the formation of Meadowlark Voices. Rice feeds the body, but what feeds the soul? Often it is music and the arts. Especially in times of stress and uncertainty, life in refugee camps puts a strain on the mind and body of young and old alike. ​Meadowlark Voices are not doctors or lawyers or politicians or chefs, so we are focused on mind and spirit and practical efforts to support this key group of people in the life of a refugee camp. Under these most difficult circumstances, musicians and artists bring life and emotional expression to their villages and people. i.e. This young man to the left wants to become a music teacher. He already plays the guitar amazingly well. I let him borrow my guitar in this photo to play for me because he himself does not even own a guitar. He learned to play on his friends guitar. Helping him to own a guitar will help many others around him. Please consider a donation to help make this happen for him and many others like him. Thank you. When few options are available, music and the arts are key componants of life in refugee camps.